When eight-year-old Bobby, wins the amazing prize of a month at an exclusive summer school in a manor house in the country, he has no idea that all his secret dreams are about to come true. The prize includes a friend and he chooses to take his little sister along with him. The manor belongs to the Greyleigh Family whose ancestor, Sir Walter, was a famous Knight. His descendent set up a trust whereby twenty underprivileged children are awarded a month of luxury living based on their reason for wanting to be there, and Bobby has many reasons. The house is exactly as he imagined it to be, and the suit of armour that once belonged to Sir Walter and now standing proud in the great hall, fascinates him, but there other things within the manner that are not so nice. Even though the present Lord Richard is kind to him, the butler Mr Roberts and housekeeper Mrs Wilson willing allies, it’s the other children who make life difficult for him. The rich boys and girls, whose parents paid a fortune to send their children to this exclusive school, resent anyone unlike them and not wearing the latest in fashion and trainers. So Bobby goes from one set of bullies to another. On his first night in the dormitory he cuddles beneath the bed covers feeling very alone until he hears a familiar and frightening sound from deep within the house-glass breaking. Sure that there is trouble brewing; he creeps down the stairs to confront the burglar, only to encounter a more sinister and amazing sight. The would-be housebreaker has been chased away and clanking slowly along the corridor, sword raised, is the suit of armour. After a chilling start, Bobby manages to explain to the Knight that he’s not the enemy and the two begin to talk. He learns how Sir Walter so loved his home that even after his death he couldn’t bear to leave it, and now haunts the place. The two become friends and Sir Walter helps Bobby through a series of adventures and dangers, when the rich Children play tricks on him and his schoolmates. 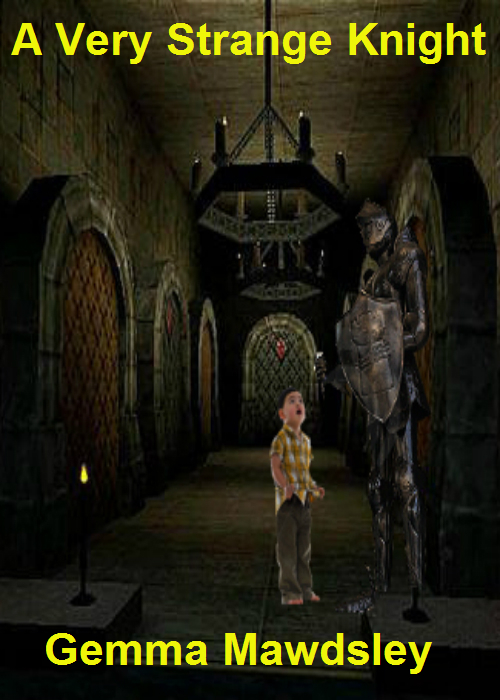 When the month is almost up, Bobby is sad to think he will be leaving his new friend and the knight feels the same way, but something wonderful is about to happen, Age 6 to 10 Years Old.